By now, you should have filed your taxes and received your refund, and you may be wondering how to spend it. Sure, there are a lot of people who will take the extra money and splurge on things like designer clothes, 5-star restaurants, and entertainment. However, it's far wiser to use your return for bills and more practical items. Your car is a great thing to spend your tax refund on, especially if you're constantly driving. Here are some of the smartest car purchases you can use your tax refund for. 1. Vehicle maintenance – Your car has needed some maintenance or repairs for some time, but you've been putting it off because of the expense. Now that you have a bit of extra money in your pocket, use it to get those repairs and tune ups done. It's better to have things taken care of now than to wait for your car to completely shut down or develop other more expensive issues. Can't think of anything on your car that needs work? Ask yourself when your last oil change was. That may be something your car is in need of that you could put your refund towards. 2. 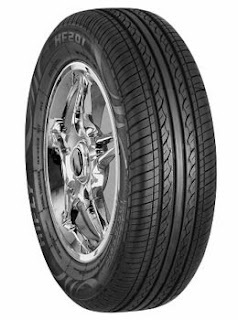 New tires – A good set of new tires, such as multi-mile tires, can make your car drive like new again. If you drive a lot, your tires could be pretty worn out by now, without you even knowing it. New tires are one of the best purchases you can make with your tax refund, as they will help your car run more smoothly and make it a bit safer to handle in even the harshest conditions. Sure, tires can be expensive, but hey, you have a bit of extra money. That means now is the perfect time to purchase them! 3. New car radio – A new car radio is a luxury item that should not be considered as important as getting maintenance/repairs or new tires. However, if your car is in great physical shape and you want to make it a bit more luxurious, a new car radio is a great place to start! You spend a lot of time in your vehicle and you can easily get a little bored when stuck in traffic. A new car radio can make your commute a bit more bearable and a lot less stressful, and give you a whole new reason to look forward to driving just about anywhere! How will you be spending this year's tax refund? When you use it towards any of these three car purchases, you'll be making a wise decision! If the second point resonates with you, check out our selection of multi-mile tires at Tires By Web!